The Galaxy S10 Plus might have a dual front-facing camera and quad rear-facing cameras whereas the S10 is expected to sport a single front facing, and triple rear-facing cameras respectively. What some people might forget, however, is that it's also supposed to be the day it actually properly shows off the foldable Galaxy F. Samsung would very much like you to remember that, which is why it's released another teaser video to remind everyone. The recent leak from Evan Blass on Twitter has however revealed the final design of the smartphones. Both S10 and S10 Plus will have in-display fingerprint sensor. 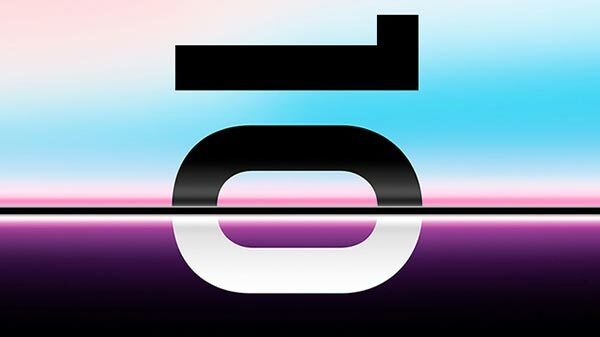 The Galaxy S10e will be the most affordable Galaxy S10 variant, and also the smallest one. Leaks suggest that the Samsung Galaxy M30 will feature a 6.38-inch Super AMOLED display with 2220 x 1080p resolution, protected by 2.5D curved tempered glass. These are ultrasonic fingerprint recognition, camera performance and battery life. While Samsung Galaxy M10 features a 6.2-inch HD+ Infinity V display, Galaxy M20 comes with a 6.3-inch Full HD+ Infinity-V display. Samsung's foldable handset also sports "Multi-Active Window" support that allows users to open up to three apps simultaneously. Previous pictures have hinted it will be at Samsung's next Unpacked event, which takes place on 20 February. The Samsung Galaxy S10's biggest feature might not be on its backside after all.